Irestal Group was founded in 1945 and it was the first company to introduce stainless steel into Spain. For many years the group developed its supply into a number of areas which included aluminium, engineering steels and steels used for producing tooling but then in 1984 the decision was made to specialise only in stainless steel. Irestal which was based in Barcelona expanded quickly. Firstly into the Spanish market and from the 1990's internationally which created new ventures and acquisitions. From 2005 the Group began its expansion into several Eastern European countries and later into the US. 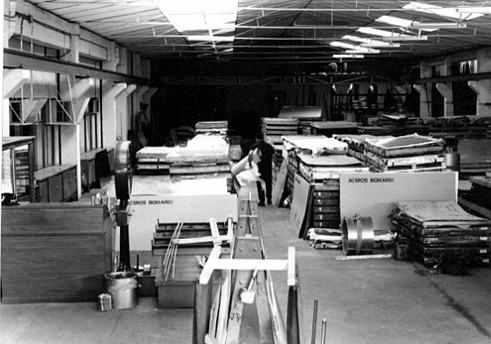 Since the beginning of the Group the main priority was always to become a leading Service Centre and to give customers a wide range of products, the best service and a permanent stock availability in addition to offering services such as customer cutting, processing and surface finishing. The Irestal Group's philosophy has always been to offer its customers the product required, at the right time and at a competitive price through an innovative approach to providing the best service to our customers. To ensure our customers get the best possible service we have available within the Group a highly experienced team within the organisation which allows us to have all the technical expertise, years of experience and personal attention to become one of the most relevant service centres in Europe. We currently serve over 14,000 customers in the chemical, pharmaceutical, food, automotive, computer and construction sectors amongst others. The confidence and support of our customers has been the best guarantee in the expansion of our products and services worldwide. Due to all these factors, we have a wide sales network with offices and warehouses spread worldwide which enable us to supply an advanced processing technology, cutting and finishing of stainless steel. 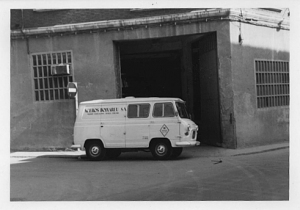 1966 · First branch in Madrid. 2014 · New strategic plan for expansion of the group, aiming to double its turnover in 2017. Currently Irestal Group is present in 8 countries, with 27 Distribution Centres.